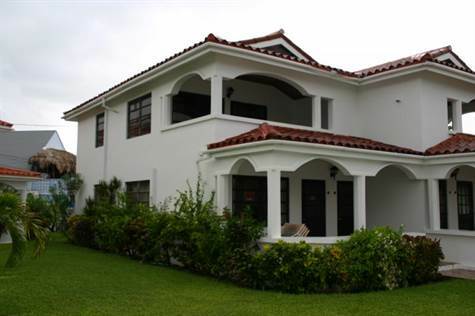 Ambergris Caye, Belize - Close to Town yet quiet property. The Belize Yacht Club is perfect for those looking at spending a lot of time on the island. No water taxis or long golf cart commutes to worry about. Stores and restaurants all within a few feet away. Priced thousands less than a new condo this 2 bedroom, 2 bath townhouse unit has been 100% remodeled and is in tip top shape. Check out the newly refurbished floors, the new bathrooms and kitchens and don't forget about the view! That's probably the reason you're looking down here in the first place. Enjoy your morning coffee overlooking the ocean and the marina from your upper or lower balcony. Walk to dinner, enjoy the beach....live the dream. This place is priced to move at $340,000.